Getting that exotic, high-performance vehicles for a video shoot is pretty expensive especially can be an expensive and arduous ordeal. There is so much to deal with regarding the vehicle itself, location, and filming, setting up the perfect shot for that student project, movie or commercial is extremely difficult. 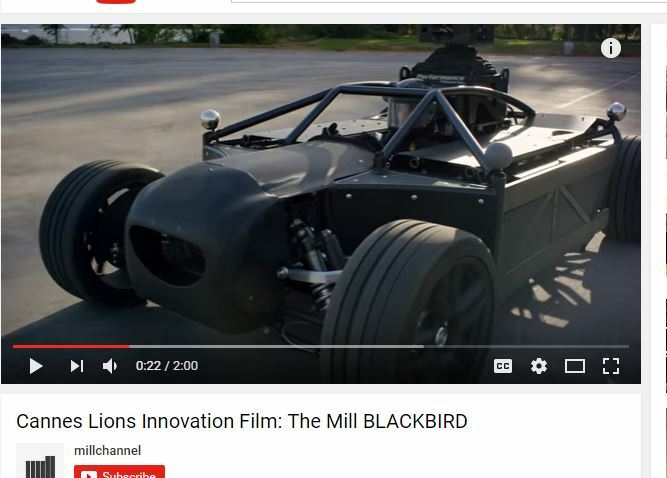 Now enter the Daniel Day Lewis of cars: the Mill Blackbird. With his cinematic miracle, the Mill has made it possible to shoot automotive content without needing to hunt for that specific vehicle. Mill’s Blackbird is the world’s first fully adjustable car rig. It is able to adjust its chassis to match the precise length and width of almost any car and using the latest in computer generated effects, its looks can be altered to be any car. On top on that, it has an electric motor electric motor can be programmed to emulate the driving characteristics of almost any subject car, too. 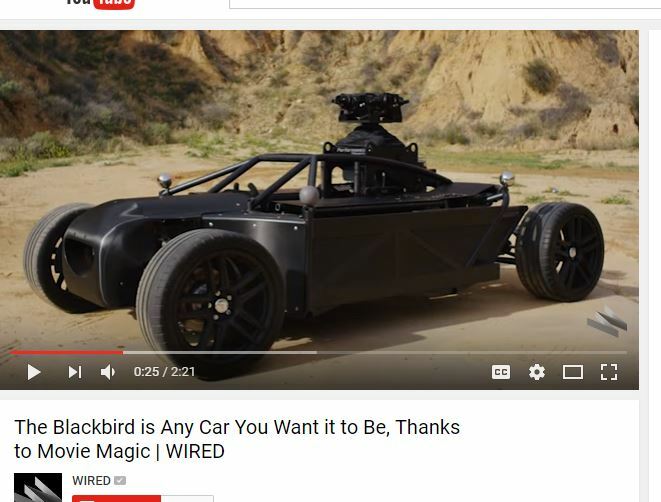 No longer will automotive content producers NEED the physical vehicle for a shoot as the Blackbird is a go-to do-it-all-rig. The automotive chameleon that will disappear into any role like some of our best Hollywood actors, The Blackbird will not only be able to drive and look like any car, the Blackbird can enables users build a virtual version of its environment by using a combination of 3D laser scanning and high-dynamic range imagery. Better yet, The Mill has created an innovative Augmented Reality application that allows individuals to see the intended CGI vehicle on top of the rig. The way the car works is through a series of stabilized cameras sit on top of the Blackbird and take a picture of the world around the vehicle. They synchronize with a unique with a lidar system that is also scanning. When all of that data is received to a computer with the required software, it allows the visual effects artists to mimic the surrounding world correctly on the virtual car. Any shadows, reflections, and other details that make you believe you’re looking at the real deal have to be calculated and recreated effectively. Also notable is how the Blackbird was hand built in the same hanger as the Blackbird SR-71 supersonic jet by technicians from JemFX. This project and took two years to complete and is set to rock the video production and automotive content world by storm. Typically, automotive content was determined by whatever was available to a production, the occasional model revisions, limited access to locations and footage far too often becomes irrelevant. Mill teamed up with JemFX, Performance Filmworks and Keslow Camera for the Blackbird to give it that movie magic allowing it to truly “become” the car the productian wants/needs be shot at any time, in any location, without the need to rely on the actul physical car. The way this rig is able to help capture quality footage and data is through the camera array and tailor-made stabilisation unit, which we found out was engineered in collaboration with Performance Filmworks’ legendary award winning technician, Lev Yevstratov. Through that using high dynamic range imagery and 3D laser scanning users can create a virtual version of the environment, producing groundbreaking realistic CG renderings. 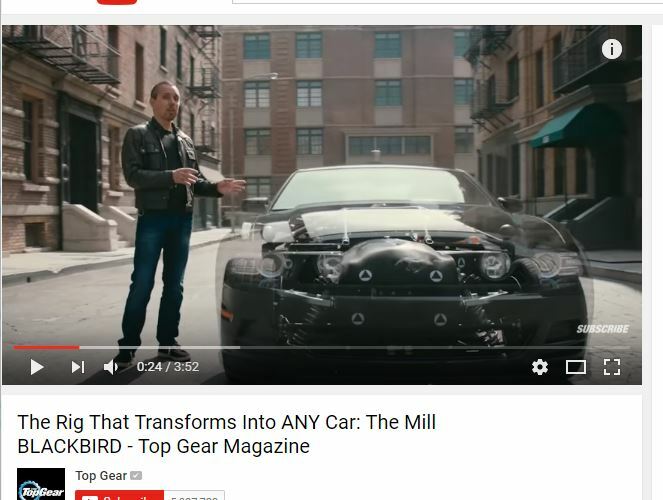 we expect to see The Mill Blackbird not only for automotive advertising content but perhaps for visualising the latest advances in car design.